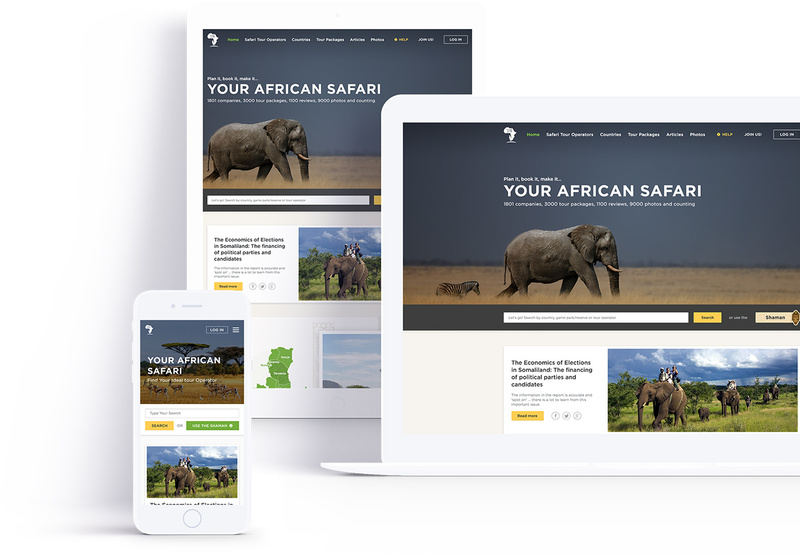 How to create a website that includes complete information and purchasing options for every major safari tour company in Africa, while at the same time making it engaging, easy to use, and stunningly beautiful? “Create a site with a focus on search, with exceptional visuals, emotionally inspiring, and informationally rich,” is what they asked from us. “You actually did it, we didn’t think it was possible,” is what they said when we finished. It may sound crazy but at the heart of our UX approach we were primarily concerned with creating a emotional impact with each page layout. 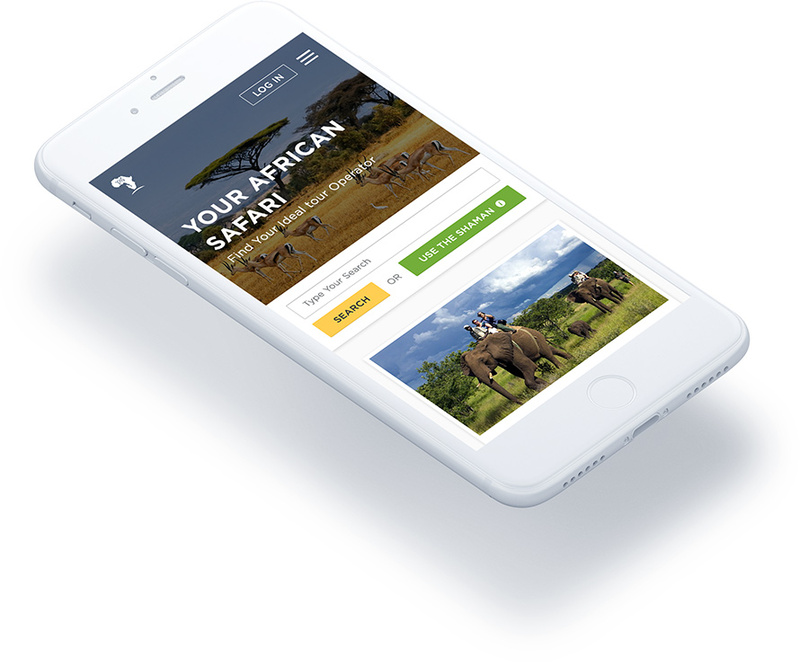 Africa is a place unlike any other on earth, and a safari is not something most people get to do more than once in their lives. We needed to pay tribute to this once-in-a-lifetime experience with every aspect of our design, and create a stage for the natural world of Africa to be experienced. The original "Big Sky Country"
We remember how we felt during an experience much more readily than any other detail. This fact guided our UX design every step of the way, and led to the development of a site infused with grand images and sweeping design meant to illustrate how small one can feel when intimately confronted with the natural world. We know that doing any kind of real search with large amounts of results can be unwieldy on a phone of any size. However, with minimalist navigation and user-focused design, the mobile search function and results page for this site are comparable to many desktop site designs. If you don’t agree, please let us know.